Atelier Chen Hung is an architectural practice with experience in the fields of private residential, multi-residential, retail, commercial and installation projects. Based in Brisbane’s West End A–CH provides full architectural services, from concept to project management. Founded by Melody Chen and James Hung in 2008, the practice is driven by a multidisciplinary approach, where collaboration is encouraged throughout the design and construction process. A focus on exploring ideas, paired with a pragmatic perspective, has enabled the creation of spaces that are highly refined, memorable and functional. With core values shaped by individual project briefs, budgets and sites, A–CH works to deliver quality solutions that are responsive to each client and their particular needs. In 2012, the practice is awarded the Best of State (QLD) Commercial Design and Commendation for Installation Design at the Australian Interior Design Awards. In 2013, A–CH is the winner of Houses Awards for New House Under 200sqm and received the AIA National Architecture Awards for Small Project Architecture. 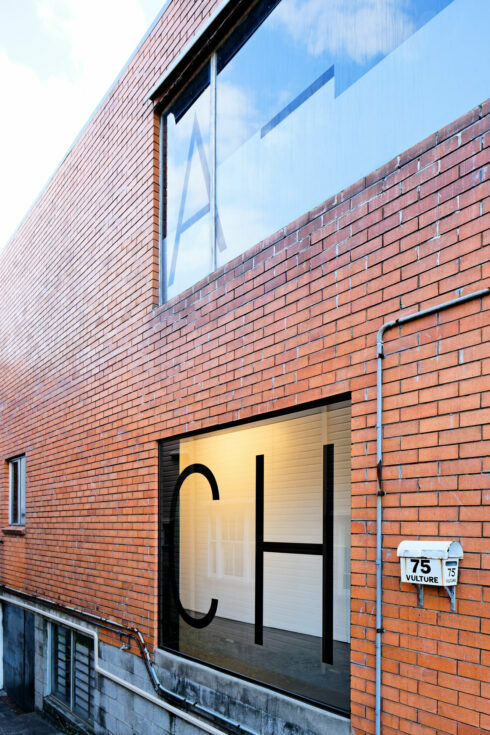 Wallpaper Magazine’s 2014 Architects Directory have selected A–CH as one of 20 world’s best young architectural practices. In 2016, A-CH received two awards in the 2016 NSW Architecture Awards for Residential Architecture – Houses (New) and Sustainable Architecture. A–CH (Atelier Chen Hung) is an A+ Practice Member of the Australian Institute of Architects.